FACIAL REJUVENATION IN MIAMI FOR NATURAL-LOOKING RESULTS! Miami plastic surgeon Dr. Joseph Selem offers the most up-to-date facial rejuvenation techniques to achieve youthful, natural-looking improvements to your facial profile, including blepharoplasty and cataract surgery. Dr. Selem discusses new advancements in eye surgery with SelfPayMD.com. To read the full article, click here. MIAMI BLEPHAROPLASTY FOR A YOUNGER-LOOKING YOU! Blepharoplasty can ease wrinkles and tighten loose skin around the eyes that may be contributing to an aged look! Plastic surgeon Dr. Joseph Selem offers eyelid surgery in Miami to produce a more rejuvenated, younger-looking you! 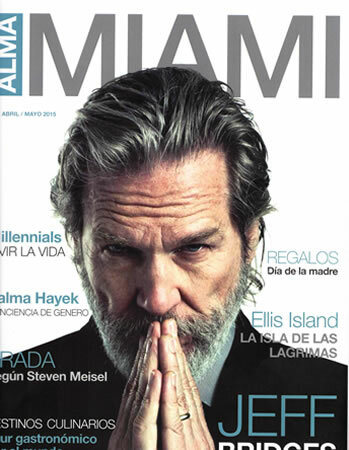 Dr. Selem discusses the benefits of blepharoplasty with ALMA Magazine. Click here to read the full article. Eyelid Surgery In Miami For Aged Or Tired Eyes! Suffering from swollen or tired-looking eyes? Factors like sun exposure, aging, and genetics can contribute to puffiness and excess skin around the eyelids. Miami plastic surgeon Dr. Joseph Selem offers upper and lower blepharoplasty to remove excess skin and fat around the eyes for a more refreshed appearance! Dr. Selem explains why many patients opt for eyelid surgery to ALMA Magazine. Everyone already knows about the harsh, invasive technique of traditional liposuction. Patients would endure weeks of downtime and recovery after surgery. As the temperature rises over the next couple months, don’t let the extra pounds you’ve gained over the winter holidays stop you from baring your bikini body. Dr. Selem of The Selem Center in Coral Gables, Florida offers a new, revolutionary liposuction technique called Aqualipo® to give patients back their bikini body in time for summer without the inconvenience of a long recovery. Aqualipo® in Florida is a less invasive liposuction technique that is gentle, scarless, involves no general anesthesia, and next to no downtime. 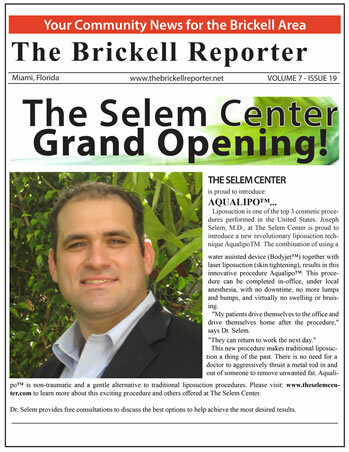 Read the full Venue article to learn more about Aqualipo® in Florida with Dr. Selem! Lea el artículo completo para aprender más sobre Aqualipo® en la Florida con el Dr. Selem!